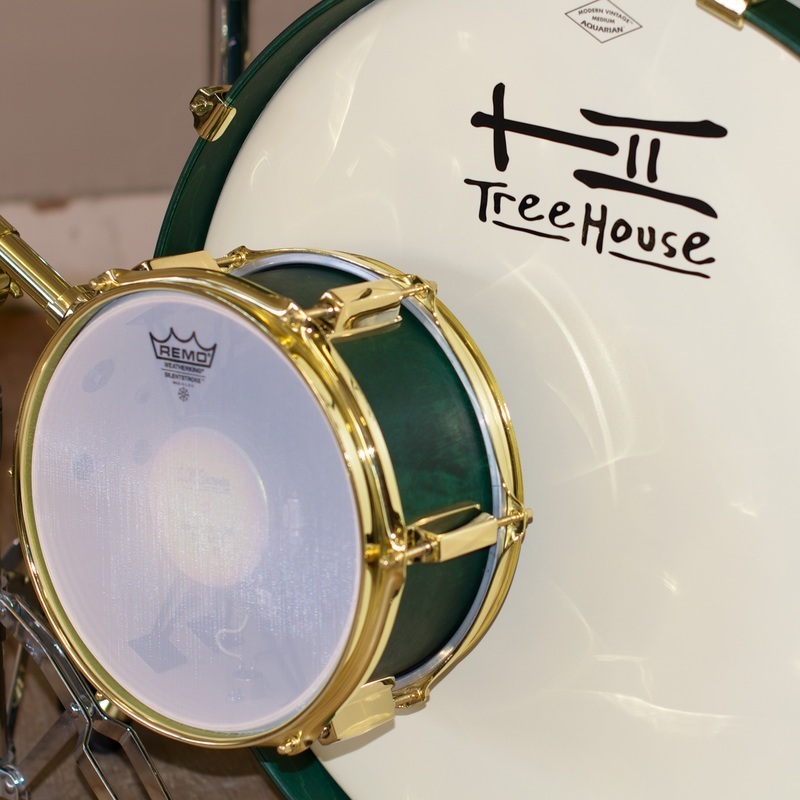 TreeHouse Custom Drums are available with internal mics. No more bass players tripping over your bass mic boom; no more soundmen placing that tom mic right where you end up hitting it; no more tangle of mic boom stands among your cymbal stands--you can order your new drumset or tupan with mics professionally installed and ready to go. With options in brands, placement and permanence, call or write Derek to discuss the details. 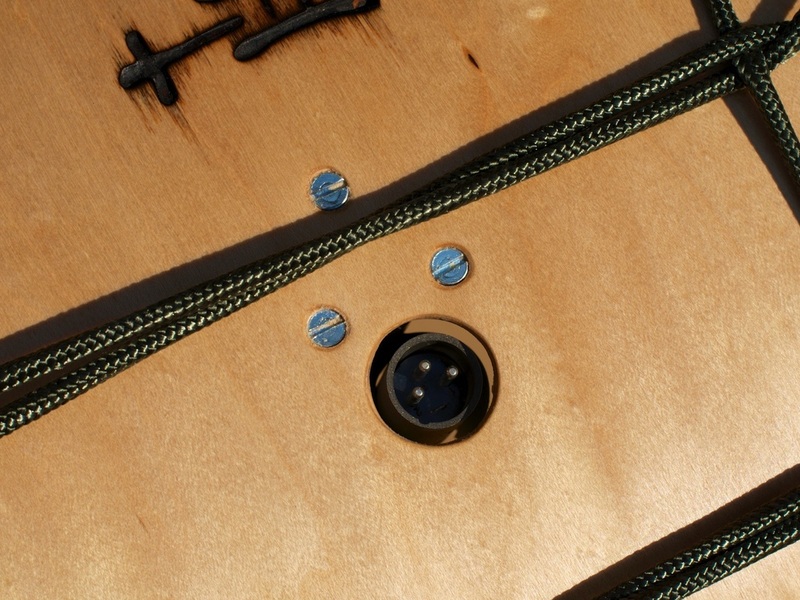 Place this wee guy in front of your bass drum to bring out more low end—particularly ridiculous in a sound system with enough power and subs that can go low enough to re-arrange your bowels. It’s basically a microphone made with a 5x10 maple drumshell using a bass-cabinet speaker as the diaphragm. 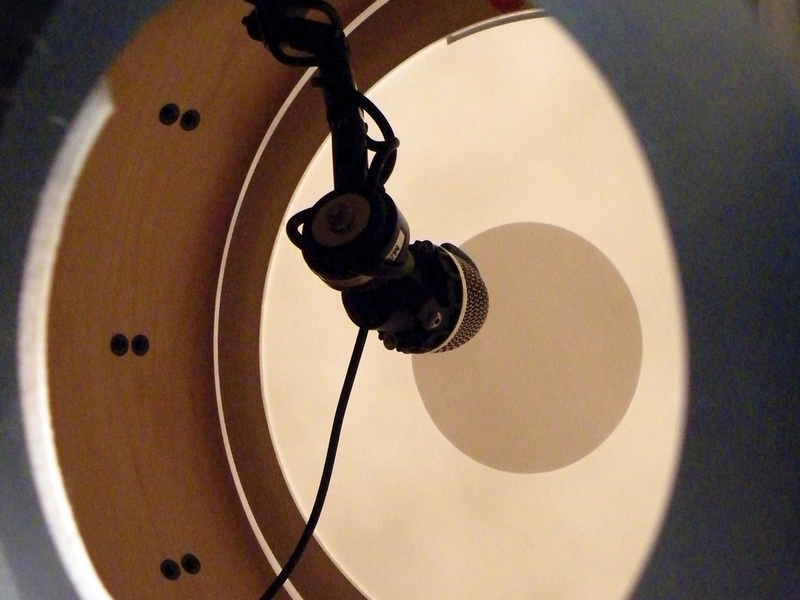 Used in conjunction with a regular bass mic—or in some settings by itself—this great little gizmo adds low-end that will fill the room. Attach it to a drum rack, use a short mic stand, or stick a tom arm in a snare stand base…there are different ways to get this thing off of the floor. 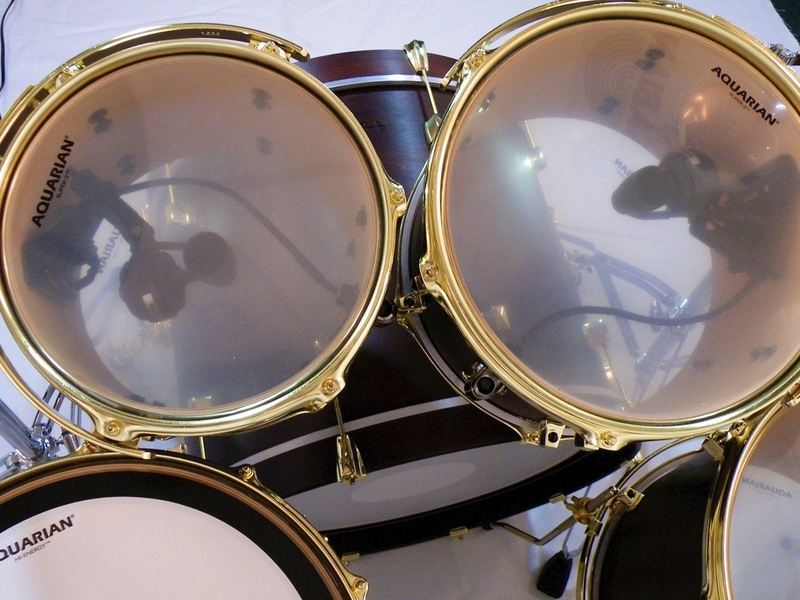 What’s cool about it is that IT WORKS and it can be made to match the look of your TreeHouse drumset.